Just in time for Christmas....a giveaway! Meet my new favorite Etsy seller and enter to win a Princess bag for someone special. :) Notice the multi-racial princesses? "My name is SarahFae. I am a stay-at-home mom to two little girls. I have an almost 4 year old with super curly brown hair and brown eyes and an almost 2 year old with straight blond hair and blue eyes. They have definitely helped me to be more spontaneous (and flexible) and to appreciate the variety of life. I've been married for almost 8 years. I am lucky enough to be married to a man who can, quite literally, fix just about anything. He has a remodeling company and that is partly what has encouraged me to start Owl Street. Seeing his ability to think outside the box and to teach himself has given me the confidence to take a risk, to work hard, and to make good quality products. My youngest is getting older, which means that I keep hoping that diapers will soon be a thing of the past. I finally realized that I don't need a full diaper bag anymore and I wanted something smaller, but I couldn't find the right size bag. And that started it all. A small tote bag that she could carry, a new diaper changing pad that would hold diapers and wipes to fit in my purse, a new purse for me, a cool tote bag for our library trips, a small zippered bag to better organize that chaos that was the bottom of my purse, reusable snack bags, and the list goes on. So, whatever you need or whoever you're shopping for I've got something for you! I am happy to be able to introduce the 'Every Little Princess' tote bag made especially for White Sugar, Brown Sugar readers! 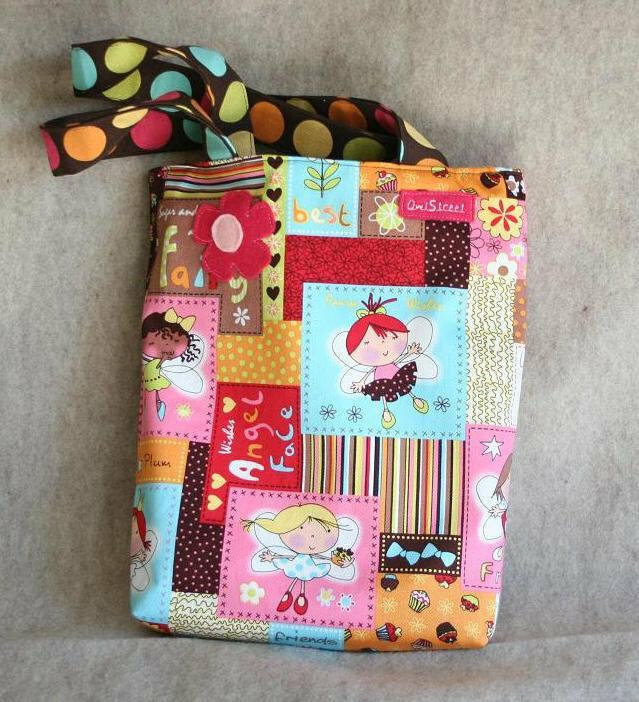 It makes me so happy to feature the fabric that Rachel picked out on this tote bag sized just right for your little princess. Every little girl should be able to have dolls and pictures and bags that look like her. I will be taking orders for the 'Every Little Princess' tote bag through Etsy. If you place your order by December 5 I will ship your bag on Dec 19, just in time for Christmas! 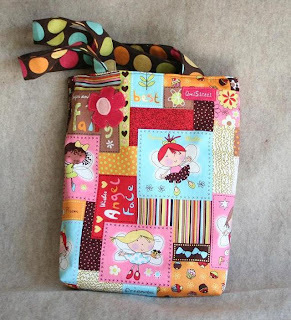 I also have the Every Little Princess bag available in a small purse or a crayon purse. Check out OwlStreet on Etsy and send me a message for custom orders." 1: Visit Sarah's Etsy page and tell me which item is your favorite via a comment on this post. 2: Become a follower of my blog; leave me a comment on this post letting me know. 3: Become a FB fan of my blog; leave a comment on this post letting me know. 4: Post this giveaway on your FB page, on Twitter, and/or on your blog; leave a comment letting me know. 5: Leave a comment sharing your favorite holiday cookie. The winner will be posted after noon on Friday; the winner is responsible for creating an Etsy account and contacting the seller in order to claim the prize. I visited Sarah's shop and this is the bag I noticed immediately: http://www.etsy.com/listing/87677774/lil-tote-with-multi-colored-flowered So cute! I like the Sunburst/Flower tote. Picking a favorite holiday cookie is tough, but I have become really fond of chocolate mint cookies! Love the print on the giveaway bag...also the purse with neutral colors and the leaf and bird lil tote are adorable!! Pretty much EVERY SINGLE bag she has is ADORABLE! My daughter would LOVE the princess bag! I already follow your blog! LOVE IT! I tweeted about the give away! I love making turtles for gifts for teachers! I love making twice as much so I can eat them too! My other favorite is the peanut blossom...made just small enough so I can fit the whole thing in my mouth in one bite! haha! I love the Purse in Neutral colors large leaf pattern and large felt flower. It's so pretty! I forgot to list my favorite Christmas cookie - peanut butter chocolate bars. The princess bag is adorable.